It's been a while since I visited Maginhawa Street in Quezon City. We were there for a small event of Food Panda Philippines. It's a food crawl of some of their local restaurant partners so we could get to experience their offerings that's already available with Food Panda's delivery service. The first place we got to promises an all day breakfast menu, with the premise of a hearty American diner menu but with the inclusion of continental and Filipino favorites. This is KATZ Diner. 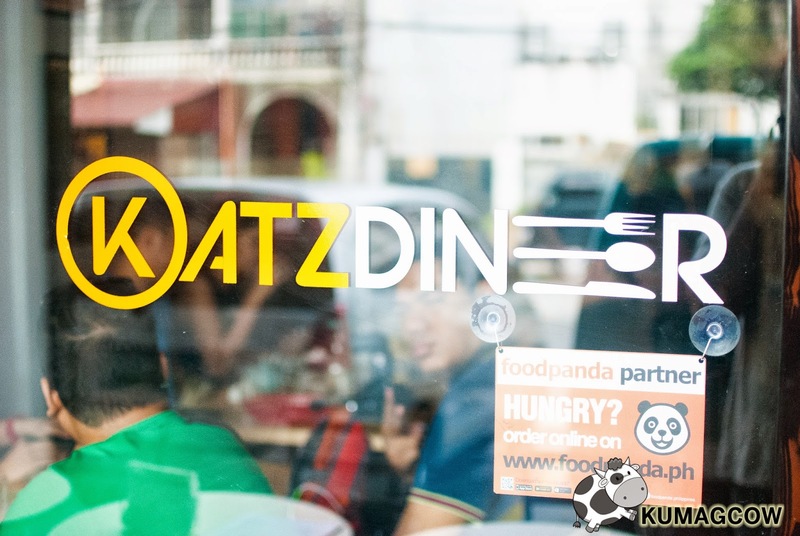 KATZ Diner isn't directly on Maginhawa street, but it's a stones throw away from it and the corner of Malingap street in Sikatuna Village, Quezon City. It's got ample parking, 2-4 cars in front and a couple more on the street itself and can accommodate around 30-40 people. The interior has got 2 kitchens, some parts are modern, some are rustic, some corners even have posters to pay homage to musicals. They are big fans of it. The other kitchen is there to whip up drinks, and the other one for hot kitchen items. They just opened April this year serving an assortment of teas and coffee. Chef Kat Oronce also does all the plates herself so you are assured you're getting what you pay for. This is a family owned shack, we had the pleasure of meeting her family during that morning too, including that cute little baby boy on the bottom right side of this shot. They were warmly and sincerely welcoming us to their joint, we felt that right away. This is KATZ Diner's Grilled Pork Steak. The tender slices of pork had charred parts on it. One bite and you can taste the slightly gingery marinade base it was soaked in probably for hours. This is on the sweet side so don't be shy to ask for vinegar with chili to make it the perfect thing to have for breakfast. Do not leave the place without tasting the Green Tea Yakult which you can have together with this lovely grilled pork dish. They also have various fruity Iced Teas available, or if you opt for the coffee they've got hot and cold ones too. It cuts the oiliness and makes it the perfect accompaniment to everything else on the menu. One of the hits that morning was this deconstructed Longganisa. They mix in the usual Filipino sauteing ingredients, or some sort of salsa so it doesn't come off as fatty since it is made of pork. This is also served on the side with scrambled egg, so it feels like an omelet where the ingredients are not folded in. 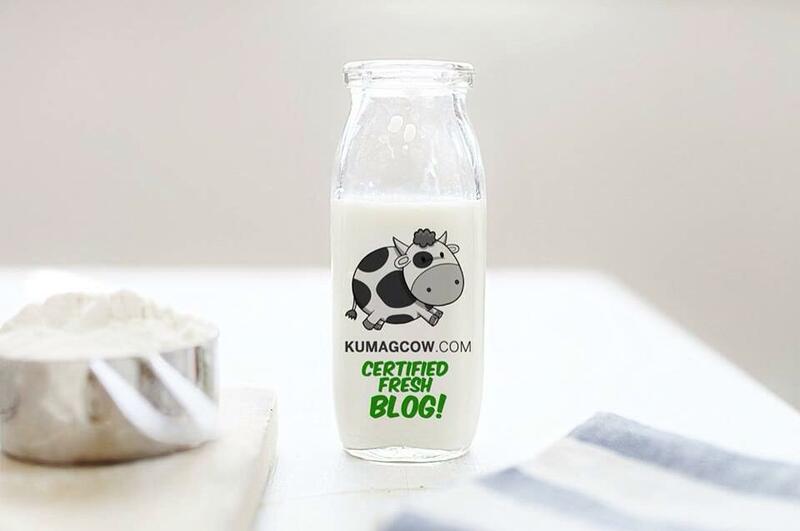 I'd gladly have this with french toast or just the plain one and it'll be perfect for breakfast. Never even think about your diet when you are on a food adventure in the Maginhawa district. This Roast Pork Belly served with hot white rice, sunny side up egg, mashed sweet potatoes, gravy and chimchurri sauce. It's flavor combination might not be too familiar but it's a staple in South America, particularly Argentina that loves meat with strong and pungent spices all day. Pretty good actually, but this last one is my favorite. They saved the best for last. You know that instant when you bite into something chocolatey, something gooey that you just can't help but close your eyes and feel it take you to heaven? That's exactly what I felt in this moment. They carefully prepared this to end our meal and the Lava Cake was definitely done right, one slice and the slurry of chocolate just oozes out of the cake enveloping the chocolate chips, marshmallow and the whole cake. It was lovely, and if there was something I'd go back for in this place, it would be this. They have tons more in the menu that we haven't even tried yet but I have a hunch the pasta, arroz ala katz and boneless bangus would also be a hit. Remember, if you are around the area you can order this through Food Panda by downloading the App in the App Store or Google Play store. You can also go directly to their website and channels below to experience it like we did. Thank you so much to the people from Food Panda and KATZ Diner for hosting our first salvo. We will be back soon! By the way, there's like a couple more restaurants we'll be featuring from the Maginhawa Food Crawl so watch out for that soon!